So this isn’t going to be one of those blog post where I stress about the hardships of being a mom and then end it with, “Oh, but we really love our kids” type of post. No. No it is not. 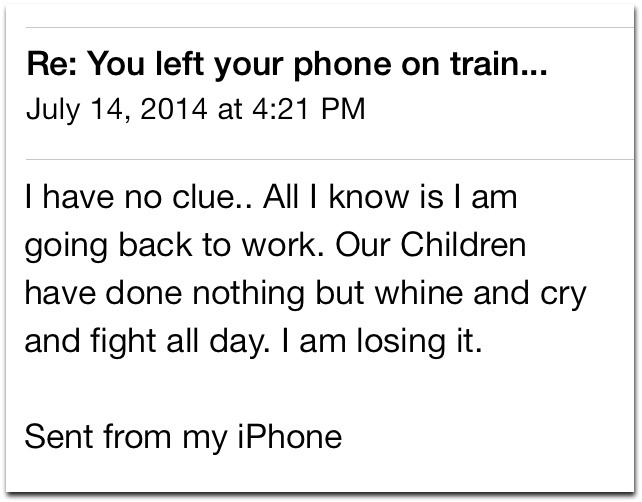 It is going to start with, “Oh, I really love my kids”…… just to get that out of the way. And I do. I love absolutely everything about them. But I apologize in advance because it is going to end with just how not-cute they can sometimes be. Because we’ve all had those days, right? And its okay. Isn’t it more efficient to have 3 sharp pokey things to jab your brother with than just one? By 10am I knew I needed to get out of my house before things went from bad to worse. But with 90+ degree weather, humidity out the wah-zoo, and a high chance of rain, the grocery store seemed like my only option to get out and back in time for them (with any luck) to take a nice, loooong nap. I realize that braving the supermarket with three kids under the age of 5 is a task one should only take if fully fueled with patience, agility, speed, and lots of lollipops all of which I was completely drained of after our epic morning. Alas, TJ Maxx was next door, and I promised them a mini Power Ranger if they would be good. I would even take mildly good. Yes, I was that desperate. Bribery at its best, but I never said I was perfect. Are these people delusional? Did they not just see the 5 year old running down the aisle and then Kung Fu chopping the chips at the end-cap, or the three year old clinging to my leg crying for me to hold him, or the one year old wriggling his body out of the seat belt and standing, not sitting, standing…. in the front of the cart trying to swat boxes off the shelves as we walked by. And to their credit, this was being pretty good if you compare it to the sh*t show that was happening in my house an hour prior. Call me crazy, ladies, but I’m not sure that I am going to miss everything about this age. Yes, they are heart throbbingly cute. And funny. And curious. And snuggly. And sometimes my husband and I just have to look at each other and we know exactly what the other one is thinking without a word being said. Those moments that take your heart away. Not your breathe; it’s beyond that. And yes I will miss those moments, but a LOT of the time these “fleeting days” are hard. And it doesn’t stop there. Dealing with tough behavior is one thing, but dealing with the midnight guilt is even worse. When I finally tuck myself into bed and start reflecting about the day and how horribly bad the kids were…. it quickly dawns on me. It was all my fault. They were acting out because they needed something from me that I wasn’t giving them. Maybe it was attention, maybe it was affection, maybe I wasn’t being patient enough, maybe maybe maybe…. And all you can do is to promise to be better the next day. And that is going to be damn tough on just a few hours sleep. Yes, sometimes I want to go back to work because I just can’t deal with being home all day anymore. And I am consciously writing this down so that when I am 77 and in the checkout line and am about to tell the young mom behind me to “enjoy every moment”, I’ll at least have the sense to know that she will enjoy most of them, hopefully, but not all of them. Maybe I’ll just tell her how beautiful her kids are instead. 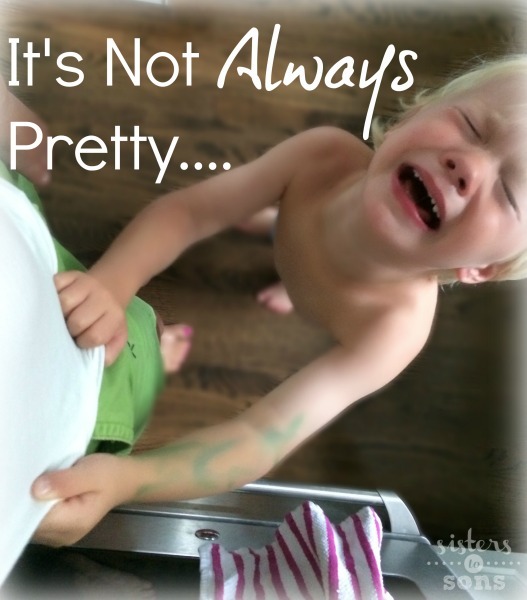 Because I’ll remember that some days, despite the amazing gift that children are, plain and simple, it just isn’t always pretty. This is me today. But it was all about a maraca. And not napping. And disliking everything I served to eat. And which chair was the best a dinner. I wanted to flush my head down the toilet. Your comment just made my day. I was about to walk out the front door, but flushing the head down he toilet is a viable option for next time! O.M.G – too funny! I have to use the “flushing my head down the toilet” comment to my husband one day (maybe today). Of course, with all these boys that toilet is pretty gross…. This was freaking hilarious most especially because I send my husband the same Email at least once a week. Summer is hard! Hang in there and I will too. Did you download the gun emoticon on the keyboard? That has made me laugh everyday sending a gun shooting myself to my mom friends. Absolutely love this post. SO. MUCH. It is ME, to the “T”, more often than not!! You seriously put my every thought into this post. Janine! I slept like a baby because yesterday was better than the day before. The kids gave me a break – Thank GOD! But that just means another rough day is around the corner, right?! So glad I am not the only one… we are in this together! 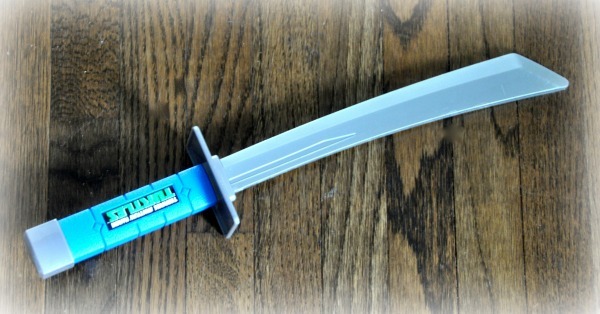 Seeing those swords made my jaw drop…my boys fight over the….exact….same…one. But they have 4, that’s FOUR of the other thing with the 3 prongs. So you know what happens when I pull out the 3 prong things? A bat becomes a sword!?!? Hiya! Have a great day and thanks for the great reads!!!!! OMG too funny, Linds!! 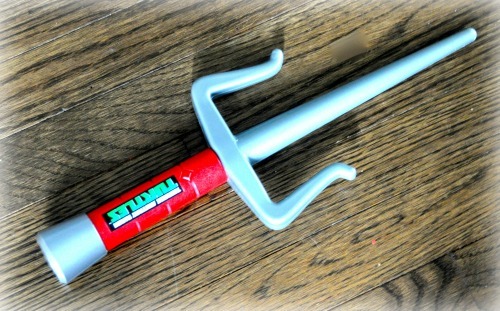 I might have to make this into a post all on itself – I see a golf club, my kids see a sword… WTF?? Your posts always leave me laughing and nodding my head in agreement. Oh and those swords! I’ve banned them from the house. The kids may like them but they do nothing but raise my blood pressure! And, in about an hour, I will have a 6-and-4 year old “running down the aisle and then Kung Fu chopping the chips at the end-cap”. I’m sure I’ll hear from someone to enjoy every minute. I may make the mental edit to the comment so that I hear “almost every minute”! Thank you!!! Glad you can relate!! And those swords…. oh, they will be the end of me! A friend just shared your post with me. It must have been something in the water yesterday. I couldn’t decide who was having the bad day yesterday, me or the kids. My make me rich comment is “you have your hands full”. I can’t hear it again, especially when it’s coming from my mother that doesn’t do a lick to help me. Hang tough and carry on. Today will be a better day! Ugh that comment is my runner up! Seriously, if I look like I can’t keep my head above water then HELP ME!!!!!! Right??! Glad you found my page!! 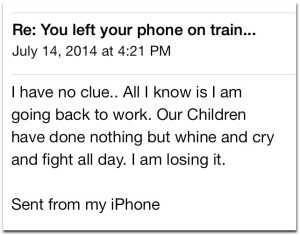 We’ve all had those days and I’ve sent my husband the “I’m going back to work text” too. Yes! Enjoy the time away…. I bet it makes you a more patient mommy when you are home! 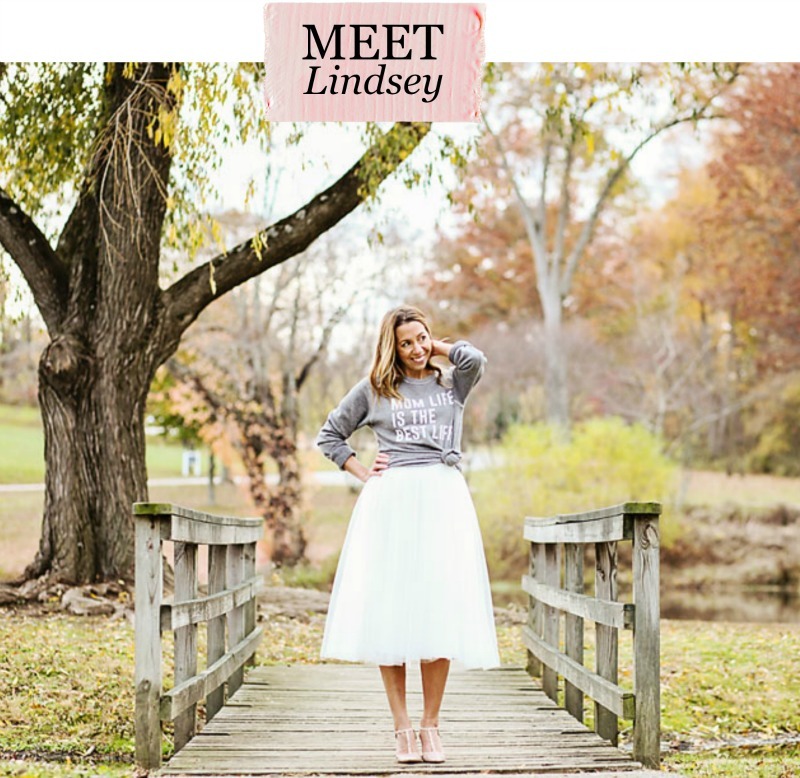 I just found your blog and so glad I did, this was my day today and I am feeling guilty about losing it with my 3.5yr old, I even thought “time to go back to work” I have 2 boys 3.5yr and 1.5yrs old and my 3.5 is fighting naps aka not taking. People say that to me all the time enjoy this time I wish I had it and I am so happy that another mom feels the way I do that some days they are just not good days. Love your blog and how real you are.